CEDAR CITY — The personal stories of three Zion National Park pioneers will come to life Thursday in “Trailblazers and Travelogues,” an hour-long performance that retells first-person accounts of the world renowned Southern Utah park before it became the tourist haven it is today. The presentation was organized by Southern Utah University Outdoor Education Series coordinator Ashley Starr in celebration of the National Park Service centennial. It will begin at 11:30 a.m. in the Sharwan Smith Living Room at Southern Utah University. 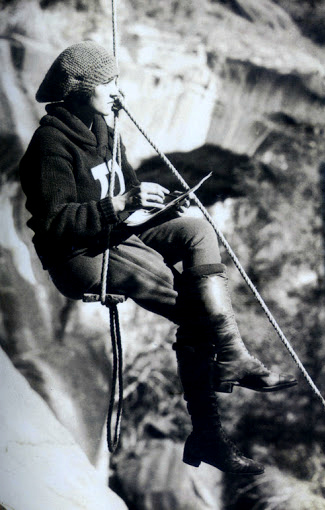 “Trailblazers and Travelogues” will include tales of Isaac Behunin, the man credited with naming Zion; Frederick Dellenbaugh, the artist who put Zion on the map; and young Isadora “Dora” Montague, a fearless woman who became the the face of Zion adventure in the early 1900s. Stories will be told by actors such as Michael Bahr, education director for the Tony Award-winning Utah Shakespeare Festival. Between the vivid depictions of Zion’s ethereal landscapes and an article published in the 1904 edition of Scribner’s Magazine, Starr said, Dellenbaugh’s passion for the colorful canyon ignited a curiosity in would-be explorers and pioneers across the country, enticing them to visit the vast canyonland. Proximity was only one of the reasons Starr chose to focus on Zion so heavily in Thursday’s education series lecture, she said. “Also, one reason that Zion is particularly fascinating is (because) it was, during the time of John Wesley Powell’s expeditions, it was the only uncharted, unmapped territory in all of the United States,” Starr said. The “Outdoor Education Series” is a collaborative endeavor between the Southern Utah University Outdoor Engagement Center and biology department in an effort to bring the public a new education series that focuses on the environmental world surrounding Southern Utah. Half of the series is dedicated to biology discussions every other Tuesday in the university’s science center building, Room 114, at 4 p.m. The other half of the series features a casual “lunch and learn” atmosphere every Thursday at 11:30 a.m. in the Sharwan Smith Living Room. “On occasion, extension activities are planned for the weekend following a lecture to apply practical application,” Starr said in an email. Attendance at “Outdoor Education Series” lectures can range from eight to 30 people of all ages. Audience participation is encouraged through rhetorical questions, hands-on activities, probable scenarios, printouts and post-lecture question-and-answer discussions. The series will continue until April 14, offering Southern Utah University students, faculty and staff — as well as the general public — an opportunity to learn more about the natural playground available in the region. When: March 24 | 11:30 a.m.